Joining our team in 2017, Bertha, our Community Project Coordinator, has transformed our already successful short-term missions projects into a sustainable community development program. After our former Missions Director took a position with the United Nations, we reorganized our missions staff to create an opportunity to further elevate our program. Thus, Bertha’s position was designed to manage our relationships and projects, creating a focused and sustainable system. Using the 2017 summer season to study our connections in local communities and how our short-term missions program operates, Bertha spent last winter and spring preparing for our busy summer season. Most importantly, she sat with leaders and families, listened to their stories and gained new insight into the communities we serve. Understanding the needs of those she works with is fundamental to creating a successful program. Our goal when working with families is to provide opportunities and tools to help them move forward. Thanks to Bertha, all of our community projects now flow through a consistent process to ensure we offer support that helps instead of hinders recipients. Her first step is the most important—choosing our community partners well. In the past, we have worked with many great local organizations in Guatemala City, in rural communities, and with other orphanages. Our staff has always looked for partners who share a similar vision and operate with integrity. Choosing our partners well is the most important step in building a strong program that serves people well. After choosing strong community partners with a shared vision, Bertha studies each community, its people, their needs, and the resources available. 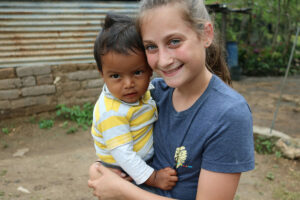 Many non-profit organizations and ministries already do meaningful work throughout Guatemala. Our goal is to find places without assistance and organizations we can complement. We believe we are better when we partner with others instead of competing. Bertha’s community profiles help us understand the underlying issues facing each area and how to combat issues plaguing the general population. When we understand who we serve and the resources available currently, our programs help people best. 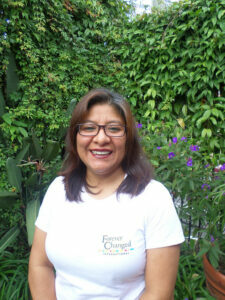 Using experiences from her first summer, Bertha created standardized projects we offer families. These are projects with proven results that our teams can complete during their visits. Our goal is always to do our work well, support other partners, and empower communities. Months before our first summer team arrived, Bertha was busy meeting with families and scheduling projects. By qualifying families early in the year, projects were prioritized and then matched with our teams based on project budgets, the priority of the needs, and the team member skills. Teams also received a family profile before they arrived in Guatemala, allowing them to know who they were serving in advance. Bertha’s favorite projects this year were in Sanarate. 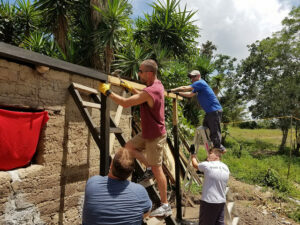 Three families within this community received a new house, kitchen with stove, water filter, bunk beds, and food baskets. The genuine surprise and joy from these families reminded Bertha of why she loves her job. They did not expect the many projects our teams completed during their trip. In a few short days, our teams’ efforts changed their lives. As we’ve watched visitors come into our home year after year, doing helpful projects in communities where we served, we wondered how to do more for the people we served. The work our teams do is needed and helpful, but to really make changes that last, we need to help families change their circumstances. Beginning this summer, our teams worked with more local workers than ever before. Although we’ve often contracted local workers to help on our project days, we’re now including them in the planning and prep phases of projects as well. 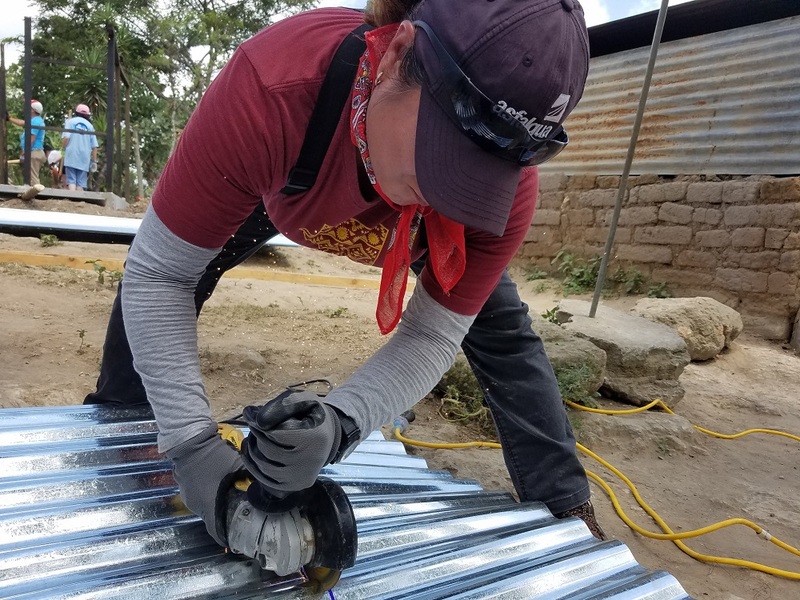 Using the 2 homes constructed in 2017 as a starting point, Bertha worked with local laborers to design home plans that could be built consistently with easily sourced materials while also fitting the needs of local residents. With our construction leaders and staff on board, local laborers did all site prep, masonry finishing, and provided oversight of our building projects. Our projects are now employing local workers while receiving assistance from our team members to complete projects quickly. Our relationships with families don’t end when teams return home. By limiting the number of communities where we work, Bertha maintains contact with the families we serve. Her ongoing presence allows us to know about important changes in communities. Our goal is to help families find the resources they need to thrive. Bertha prides herself on building better relationships and communication between herself, community leaders, families, the staff at Dorie’s Promise, and trip leaders. Improved communication and planning led to higher quality work from teams, well-managed projects, better involvement from families and local laborers, and larger projects being completed. Bertha is already working to make 2019 an even better year. She is researching additional projects for teams, offering different options based on each team’s unique skills and budget. For those with an interest in education, some potential projects will support educators with resources and assistance. We’re excited to see what 2019 holds for our community development projects.